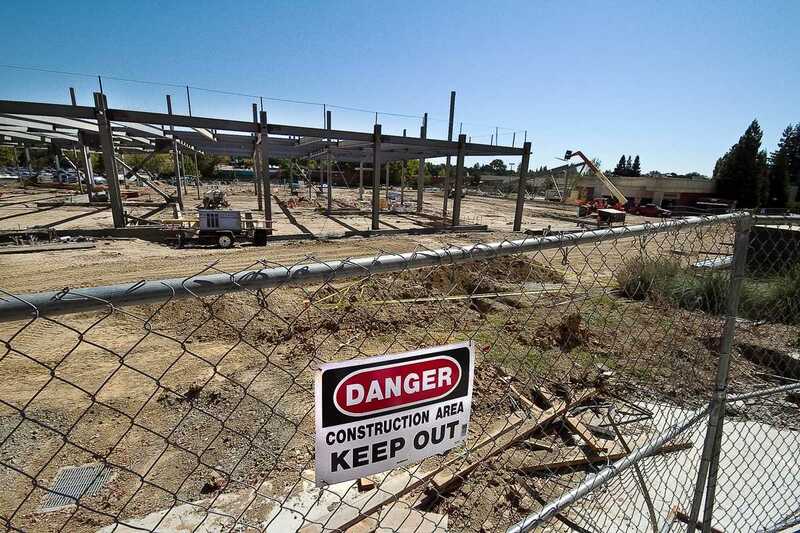 American River College made significant progress this summer toward finishing the nearly 35,000 square foot student center that’s being built behind Boettcher Library. The $26 million project started in January and is currently on schedule to be completed in July 2012. According to Smedley, the student center will be home to many amenities for students including a cafeteria, a campus-life center for student government, tutoring rooms, a student lounge and new locations for The Spot and Eservices. ARC demolished its 50-year-old cafeteria building this past spring and the student center is being built in roughly the same spot. Votes approved a bond in 2008 that’s funding the construction of the student center. The same bond paid for the recent Boettcher Library renovations. In Fall 2010, Boettcher Library reopened, and students no longer had to utilize the portables for their library needs. However, it was necessary to move dining services into the portables, which in the past had been used as student study areas, during construction of the new student center. Currently, the portables offer several dining rooms for the on-campus restaurants, including Subway, Baja Tortilla and Bene Pizzeria, but students are not permitted to use those rooms for their studying needs. The Boettcher Library, however, does have much more space where students can study during their breaks. “It isn’t an ideal situation, but we’re rolling with the punches,” said Dean of Student Services Manuel Perez, when asked how the construction and food service transition is affecting students. Be the first to comment on "Student center shows progress"